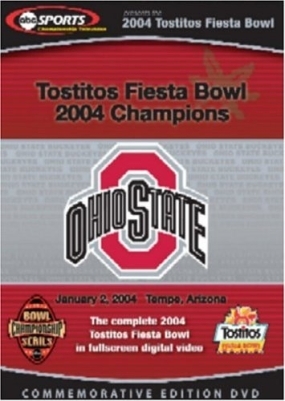 `Another Desert Duel Leads to Consecutive Tostitos Fiesta Bowl Championships.` On January 2nd, 2004 the Ohio State Buckeyes returned to the scene of their greatest triumph in 34 years to try and capture a second consecutive Tostitos Fiesta Bowl Championship. 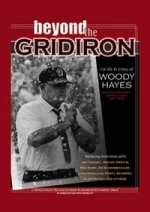 On the other side of the ball were the Kansas State Wildcats, who had just pulled of a massive upset of the Oklahoma Sooners to win the Big 12 Championship. A warm evening in the desert was the setting for another classic battle for the Buckeyes. Led by a senior class that compiled a 25-2 record over two seasons, including a National Championship, they were determined to finish with impact. The Buckeyes jumped to an early 21-0 lead and held on despite a thrilling 14 point comeback in the fourth quarter by Kansas State. 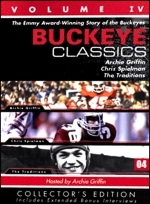 Buckeye senior quarterback Craig Krenzel tied a career high with four touchdown passes and was named the bowl game`s Offensive MVP for the second year in a row, leading the Buckeyes to a 35-28 victory to become the 2004 Tostitos Fiesta Bowl Champions.